Earlier this year, a series of announcements were made as the Singapore government announced the introduction of CareShield Life, a national healthcare scheme that will replace ElderShield from 2020. Similar to the existing ElderShield scheme, CareShield Life aims to help Singaporeans and Permanent Residents (PRs) cope with the cost of long-term care. Long-term care refers to personal and medical care that a person requires due to severe disability arising from old age or adverse health conditions. There have been plenty of discussions online about CareShield Life, and you can expect these discussions to continue. 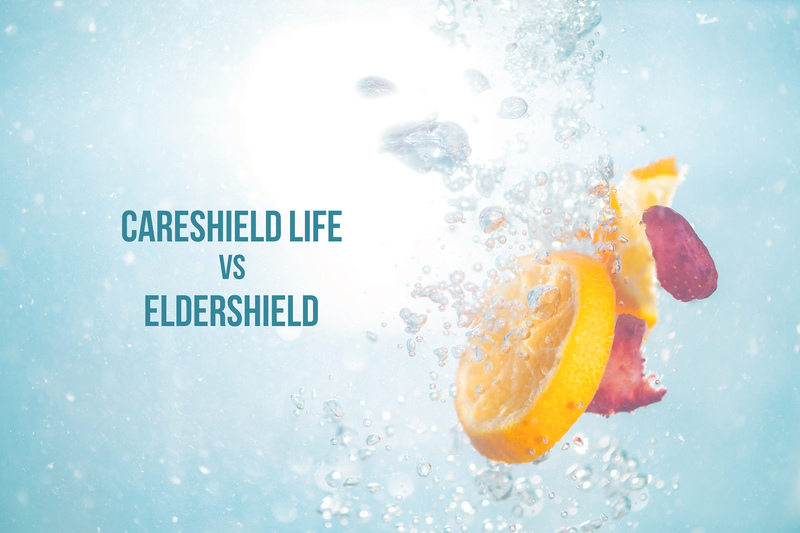 Before making your mind up about how CareShield Life may impact you and your loved ones, it is important to first have a correct understanding about how it works, and how it differs from its predecessor, ElderShield. No assessment of CareShield Life is complete without understanding how ElderShield works. Singaporeans and PRs aged 40 and above, who are not already severely disabled, are eligible for enrolment into ElderShield. If you are eligible, you can purchase an ElderShield policy from one of the selected private insurance providers using cash or Medisave funds. Under the existing ElderShield 400, policyholders will receive a payout of $400 per month for a maximum of 72 months (6 years) if they are assessed to have “severe disability”. 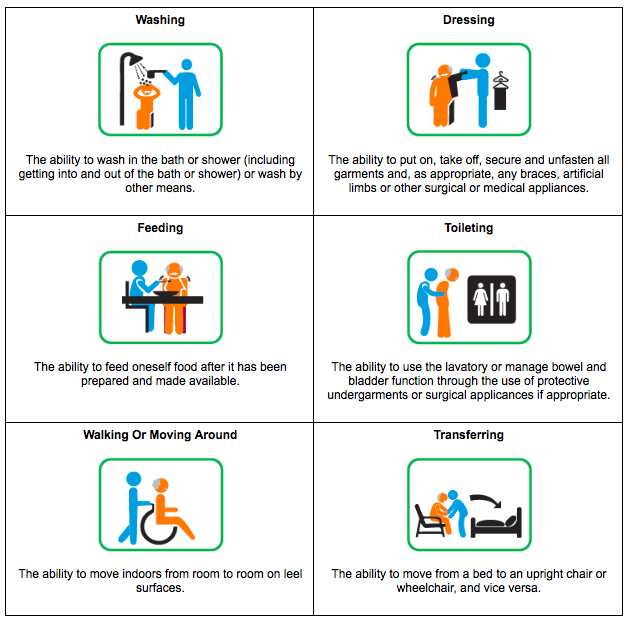 The criteria for severe disability are when a person cannot perform at least 3 out of 6 Activities of Daily Living (ADLs). CareShield Life will share the same payout criteria. ElderShield will be replaced by CareShield Life in 2020. While ElderShield will no longer apply to new cohorts turning 40 from 2020 onwards (those born in 1980 or later), it will continue to be operational for existing cohorts who are already enrolled. This means that ElderShield policyholders will continue to enjoy the benefits of ElderShield unless they choose to join CareShield Life, which then replaces their ElderShield policy. Should You Switch To CareShield Life? Those aged 30 to 40 in 2020 (born between 1980 to 1990) will be enrolled into CareShield Life in 2020, while newer cohorts will be covered when they turn 30. Come 2021, existing cohorts under the old ElderShield (born 1979 or earlier) will have a few decisions to make. Before deciding if it makes more sense to switch to CareShield Life, we need to understand the key differences between the two. Here are a few considerations you need to be aware of, starting with some of the trade-offs between the policies. Lifelong payouts is probably the most important component to consider. While the existing ElderShield plan has a maximum payment duration of six years, it raises an obvious question – what happens if a policyholder outlives those six years? It’s unlikely that after six years of being severely disabled, an individual can recover to the point of not requiring additional medical and financial support. The simple solution is to have lifelong payouts. This way, the policyholder and their family have the assurance that CareShield Life payouts will continue for as long as the policyholder lives. In addition, the Government has promised that CareShield Life policyholders will never lose coverage due to their inability to pay premiums – giving us greater peace of mind. Higher payouts that increase over time will help ensure that the amount received remains relevant for policyholders even as they age. For example, while $600 today provides basic long-term care support, including medical supplies, home nursing services or hiring a domestic helper, there is no guarantee that this same amount will be sufficient in the future. Hence, CareShield Life payouts will go up by an estimated 2% per annum in order to keep pace with inflation. However, with the enhanced benefits, higher premiums are to be expected for CareShield Life policyholders, which will increase in tandem to support increasing payouts. As a simple yardstick for comparison, CareShield Life premiums payable for 40-year-olds joining in 2020 starts from $300 (male) and $360 (female). In contrast, ElderShield premiums for those starting coverage from age 40 is $175 (male) and $218 (female). In order to offset the higher premiums, means-tested premium support and other forms of financial schemes, including a 10-year participation incentive, for those born in 1979 or earlier has been introduced as an integral part of CareShield Life. Read Also: Equal CareShield Life Premiums For Men And Women: Does It Really Make Sense? Administered by the government, underwriting will be more inclusive for those who might have opted out from ElderShield previously, but would now like to be enrolled under CareShield Life. For example, if you had initially opted-out and now wish to enrol into ElderShield, you will be subjected to a medical assessment by the private insurer, and may be rejected if you have certain pre-existing illnesses. Under CareShield Life, you are able to join from 2021 onwards, as long as you are not severely disabled. This lenient underwriting criterion compared to private insurers is a deliberate decision by the government. Lastly, participation incentives will be available for all Singapore citizens born in 1979 or earlier who choose to join CareShield Life in the first two years, starting from 2021. The incentive amount will differ, depending on the age of the individual. The participation incentives offset annual premiums over 10 years. CareShield Life is compulsory for future cohorts born 1980 or later, similar to MediShield Life, a compulsory basic health insurance scheme. This means that every Singapore resident will enjoy the coverage that it provides, regardless of whether 1) they are able to afford it, 2) have any pre-existing health conditions and 3) they are already disabled prior to being enrolled in the scheme. In addition, no Singapore resident will ever lose coverage even if they are unable to pay their premiums. With this expanded risk pool, everyone contributes their share when they are able to, and the most vulnerable among us receive the required help when they most need it. It is fair to say that such a scheme helps foster the inclusive society that we aspire to build in Singapore. Many less privileged individuals, who might have been born with pre-existing conditions such as severe autism, or may have mobility impairments of varying degrees, may traditionally find themselves excluded from private insurer policies, through no fault of their own. With CareShield Life, these individuals are not excluded. Families who have a special-needs individual as part of their household can rest assured knowing that CareShield Life coverage will provide a measure of support for their loved ones, since no one will be denied coverage. Similar to MediShield Life, additional premium support will be provided for those who have trouble paying for their premiums, even after subsidies. While the payouts provided by CareShield Life (starting at $600 per month) may not cover all your needs if you’re severely disabled, it still serves as a valuable form of support to those who require it most. At the same time, Singaporeans who are able to afford it and would like having a more comprehensive coverage on top of CareShield Life can do so via supplements from private insurers. Ensuring you and your family members can enjoy greater level of security and peace of mind is worth considering. The DollarsAndSense Podcast Episode #2: Does Paying Singapore Ministers High Salaries Get Us The Best Talents?